The Trade Strategy Map (TSM) is a repository of strategic policy documents dealing with trade and development issues from around the world. 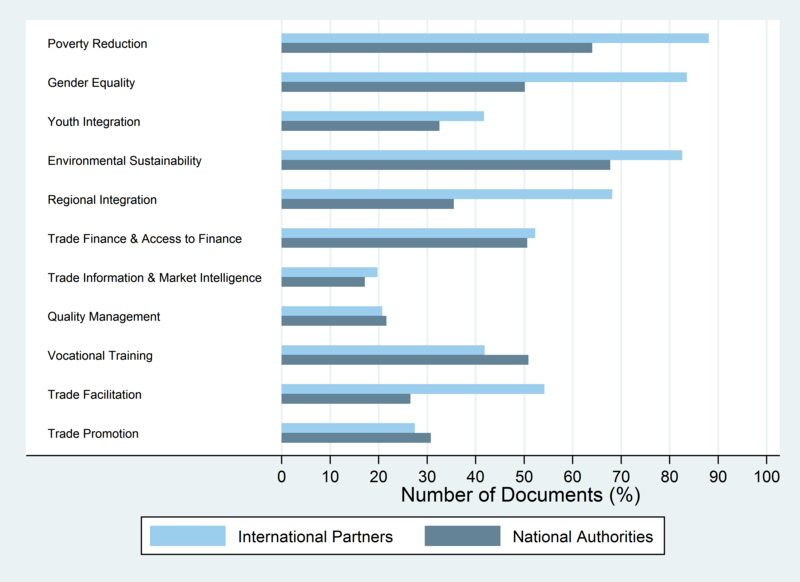 In an increasingly complex policy landscape, the tool allows policymakers, trade practitioners, donors and technical assistance agencies to access strategic policy documents from more than 150 countries. The TSM database is made available free of charge by the International Trade Centre (ITC), the focal point within the United Nations system for trade related technical assistance (TRTA). The Trade Strategy Map (TSM) is a repository of strategic policy documents dealing with trade and development that have been or are being implemented around the world. This is the first time that a systematized effort of this nature has taken place. The database offers various levels of analysis, allowing users to sort documents by region, sector or country. Searches can also be conducted by thematic focus, e.g., gender, regional integration, trade finance and youth. In addition, users can examine the design of the document, e.g., whether the document is primarily country-owned, whether the design process was participatory or even whether strategic policy paper includes a plan of action. Although the TSM includes documents initiated as early as 1993, its focus is on strategies approved between 2011 and 2012. Roughly half of the documents in the database are classified as international, including ITC-facilitated Trade Strategies, UNDAFs, PRSPs and DTISs. The database includes strategies directly initiated and implemented by local authorities covering a wide range of issues, including: environment, trade, economic growth, and education. Typically, the purpose of these strategies is to ensure long-term consistency in national policies. Are legitimated instruments of policy. With a view to increasing access to trade intelligence and furthering the global policy debate around trade and development, the TSM database compiles an exhaustive inventory of documents that have a significant development and trade strategy component. Academics and researchers, as these will gain access to the most comprehensive and widely available source of information that can be used for policy-impact research on trade and development. While the Trade Strategy Map facilitates the comparison of the different trade strategies, it is in principle not intended for benchmarking or ranking purposes. The Trade Strategy Map is created by the Export Strategy section of the International Trade Centre (ITC), which focuses on trade development under a joint mandate from the World Trade Organization (WTO) and the United Nations through the United Nations Conference on Trade and Development (UNCTAD). Export Strategy is the section responsible for ITC’s Trade Strategy Business Line, with the principal objective being to strengthen the capacity of partner countries to formulate, manage and implement trade development strategies. The International Trade Centre (ITC) Launches a New Website for the Trade Strategy Map, a Repository of Strategic Policy Documents Dealing with Trade and Development Issues from around the World. Preliminary Findings Based on Data Available in the TSM Indicate that the Number of Strategic Policy Documents Dealing with Trade and Development Issues Has Surged Over the Past Decade. 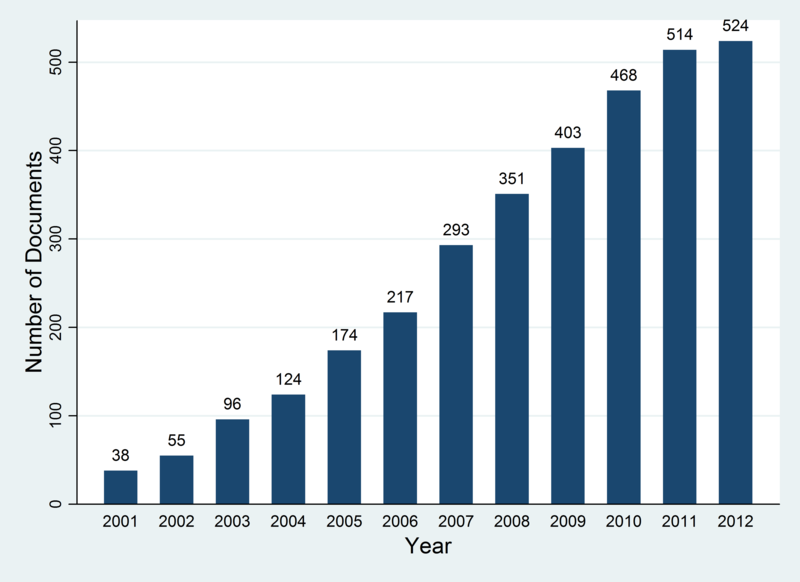 The Number of Active Strategic Policy Documents Has Grown Each Year Over the Last Decade. International Organisations Engaged in Trade-Related Strategic Policy Have Focused on Least Developed Countries (LDCs). 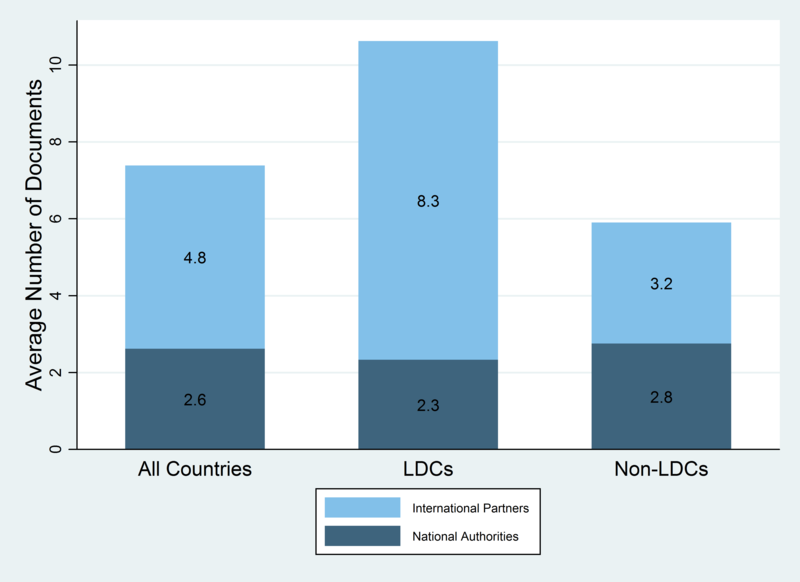 At the Same Time, Authorities in LDCs Have Been Less Active in Developing Such Policies than Other Countries. According to Preliminary Research Based on TSM Data, International Organisations Focus More on Poverty Reduction, Gender Equality, and Youth Integration than National Authorities. 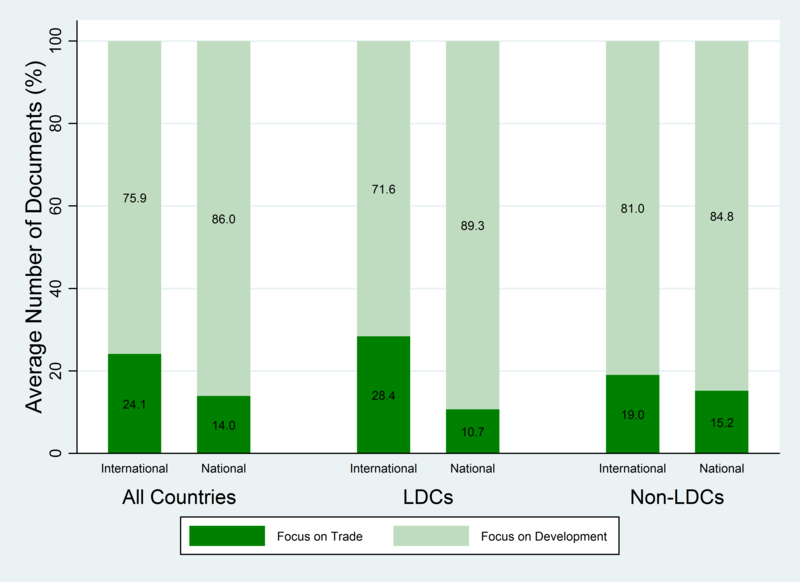 According to Preliminary Research Based on TSM Data, Trade Mainstreaming Is a Higher Priority for International Organisations than National Authorities, in Particular Those in LDCs.